Anne Witt is an accomplished senior executive and skilled strategist who has run complex programs, achieved change, developed organizational capability and improved operations and service delivery. Her versatile capabilities include running large organizations with national responsibility for annual budgets exceeding $500 million with line direction of thousands of employees as well as leading small staff and program development functions. Anne comes from Amtrak where in seven years she held five different corporate Vice Presidencies. As Amtrak's CEO put it, "I give Anne our problem organizations and she straightens them out so others can run them." She was chosen to spearhead a companywide culture transformation. Her work led to Amtrak's July, 2000 launch of a new brand identity offering the transportation industry's first unconditional service guarantee, resulting in increased customer and employee satisfaction and significant gains in revenue and ridership. Anne also led the turn around of Amtrak's reservation sales system that won recognition as Call Center of the Year in 1998 for the entire transportation sector. As Vice President of Service Operations she managed capital and operating budgets in excess of $500 million and led a workforce of 6,000 responsible for fleet maintenance, crew calling, food and commissary, safety and environmental services supporting round the clock railroad operations. Prior to Amtrak, Anne was the Deputy Director of Environmental Protection for Montgomery County, Maryland. There she resolved a decades-long controversy over the long-term management of solid waste. She led an intensive process of public participation that resulted in a solid waste plan to recycle 50% of the waste and process the remainder via construction of a 1,200 ton-per-day waste to energy facility. The programs' success was ensured through her design of an innovative "solid waste system benefit charge" financing system which she shepherded through adoption and voter approval at referendum. Anne began her career with the District of Columbia government where her legacy is still visible. As Administrator of Public Space Maintenance she implemented the District's popular "Supercan" program, for which she received Washingtonian Magazine's award for Best New Idea. Under her leadership the city focused on improved street cleanliness and citizen satisfaction through the deployment of public litter receptacles, the expansion of mechanical street sweeping routes, and the "Clean It or Lien It" vacant property nuisance abatement program. Anne has a passion for service delivery and is known for her conviction, tenacity, leadership, integrity, analytical skills, and clear strategic thinking. She has an inclusive management style emphasizing open and candid two-way communication. Anne has lived in Washington, D.C. for over 30 years and received her Bachelor's Degree from the Federal City-College. Her graduate study was at Harvard University earning a Master's degree in City Planning. She is a member of the Leadership Washington Class of 1998 and has long-term service on the Board of Directors of Children's National Medical Center. She is the proud mother of two daughters. Senior operations executive and skilled organizational effectiveness strategist with a proven track record of implementing high-stakes changes and managing diverse, complex operating organizations through tenacity, leadership, and conviction. Exceptional communication, interpersonal, and analytic skills. Five successively more responsible Corporate Vice Presidencies. As Amtrak's President put it, °I give Anne our problem organizations, and she straightens them out so others can run them.' My strong analytical skills and strategic thinking enabled me, and my teams, to unravel obstinate constraints and unlock hidden opportunities. My capacity for systems thinking applied to organizational dynamics - the causes of various effects, the networks of personal and policy relationships, and the values that define cultures - helped me understand and eliminate bottlenecks and barriers and translate ideas into practical, meaningful results. My high expectations for fairness, inclusion, service, accomplishment and accountability, underpinned my leadership style and capacity to inspire others. Developed the first unconditional service guarantee in the transportation industry - leading to Amtrak's July, 2000 launch of a new brand identity which guaranteed customer satisfaction. Contributed to 14% increased revenue and ridership over prior year, an immediate 10% customer satisfaction improvement, $1.6 million cost savings due to enhanced employee engagement measured by quadrupled perfect attendance, and expanded media and market attention giving credibility to the new quality-oriented brand identity. Led a corporate wide transformation of Amtrak's culture from traditional rail operations to one focused on consistent quality service, touching every major program element and support system. Revised recruitment and performance evaluation systems, redesigned products, trained all 24,000 employees and managers, introduced enhanced communication systems, expanded labor/management cooperation, and introduced performance incentives. Achieved $80 million in savings while increasing customer satisfaction with equipment by 11%. Managed corporate-wide line functions of fleet maintenance, crew,, calling, commissary, safety, and environmental management supporting day-to-day operations. Ran three major backstops performing locomotive and passenger fleet overhauls and component manufacturing. Managed capital and operating budgets in excess of $500 million. Reengineered production lines, expanded preventive maintenance programs, improved production planning, streamlined and automated materials planning acrd inventory control. Grew system capacity by 10% to $1.3 billion in sales, while reducing costs by $15 million annually. Received industry recognition as Call Centers of the Year for the entire transportation sector. Led turnaround of Amtrak's reservation sales call centers. Within two years, achieved a 35% increase in call handling productivity, 15% rise in booked revenue, 15% improvement in customer satisfaction and 5% reduction of cost. Consolidated the corporation's fragmented sales channels into a coordinated distribution system. Performed analyses that discovered 43 different paths to market and rationalized their management. Invested in technology, introducing on-line Internet reservations and sales, expanded automated voice recognition call handling and self-service ticketing kiosks. Effectively managed crisis communications during service disruptions, weather emergencies and threatened labor unrest. Led and managed internal and external communications, providing a coordinated message supporting business and legislative strategies. Launched award-winning internal newspaper "Amtrak Ink". Designed and conducted national public forums and company-wide employee forums on Amtrak's future, creating grass roots input for legislative debate. Coordinated corporate governance, translating mandates and polies from the Board of Directors into measurable accountabilities for the Management Committee. Deputy Director of $55 million, 250 employee environmental protection organization responsible for planning, implementing, monitoring and evaluating policies, programs legislation and regulations design to protect the County's air, wetlands and streams. Designed and shepherded through adoption and public referendum an innovative "solid waste system benefit charge" financing system. Financed a 1200-ton-per-day waste-to-energy facility with A-rated $361 million revenue bond issue (Maryland's largest). Implemented long-evasive controversial waste disposal solutions achieving predictable, affordable, environmentally sound long-term waste disposal capacity. Led an intensive, innovative participatory process entailing 8,000 hours of community input. Administrator of $58 million, 1,400 employee public works agency responsible for maintaining roadways, sidewalks, bridges, parks and green areas; removing and disposing household trash; clearing snow from public ways; enforcing code provisions; and coordinating utility work. Implemented 'Supercans" -- semimaulornated 90-gallon refuse containers that increased neighborhood cleanliness and reduced costs of costs by over $2 million per year. In 2001, some 18 years after I received Washingtonian Magazine's `Best New Idea' award for the Supercan program, the City announced it was racing the popular containers extending its longevity for another twenty years. Achieved 12-fold increase in street cleaning frequencies while reducing curb-mile cost from $67.91 to $2.73; a 58% reduction in processing time for abandoned vehicle removal; and 19% reduction in refuse collection man-days through continuous path routing. Instituted work methods analysis, standards development, staffing and equipment scheduling, deployment studies, and other methods to rejuvenate and refocus the Department. Streamlined aid modernized a change-resistant bureaucracy with widely replicated initiatives, such as the "Clean It or Lien If vacant property nuisance abatement program. A two-year vigil attending to my infant daughter's diagnosis of brain cancer involved 289 in-patient days, 5 surgeries, 90 chemotherapy sessions, and countless tests and procedures at Children's. An added benefit of her remarkable survival has been my 10-year service as Vice Chair of the Hospitars Board of Directors, and Chair of its Consumer Affairs Committee. In addition to fund-raising activities, I have helped the hospital expand its consumer focus; institute patient, parent and referring physician satisfaction surveys; improve telephone response and scheduling systems; and enhance directional signage and patient parking policies. 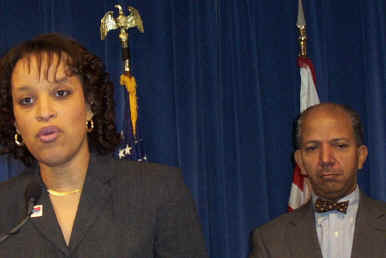 Sherryl Hobbs Newman came to the District of Columbia government in 1995 under the Office of Tax and Revenue. There she created the Customer Service Administration, with its one-stop service center, the telephone information center and problem resolution office. Ms. Newman developed new approaches toward the adoption of effective business practices, and worked to build the office's standing in the community by improving the flow of information and services to city residents, businesses, and other customers. 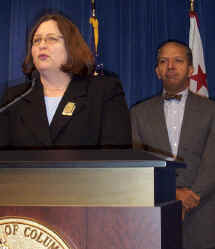 Before joining the District of Columbia government, she served as the City Collector for New York City. She was directly responsible for the annual collection of billions of dollars in revenue and she changed the way citizens interacted with her agency. Her efforts increased revenue collection, eliminated operational inefficiencies, and improved outreach to citizens in all five boroughs. Prior to assuming her post as Director of the Department of Motor Vehicles, she created and launched improved customer service standards and initiatives for agencies throughout the city government. She was also instrumental in the development of the "City-wide Call Center," - 727-1000, a centralized telephone information network that allows citizens to gain information about government programs and services from a singular source. Sherryl Hobbs Newman has combined interpersonal communication skills with experience in service delivery and organizational development to improve the performance. and morale of the Department of Motor Vehicles, a government agency that touches the lives of virtually every resident and newcomer to the City. 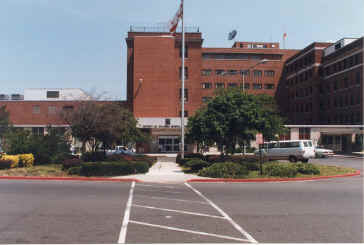 The operational and service delivery improvements that she perfected in New York and at the Office of Tax and Revenue flourished at the DC DMV. American Association of Motor Vehicle Administration (AAMVA) Star Search Team Award, Inspection Station.